A cold and windy Remembrance ceremony in Westgate this morning but well attended in bright sunshine. Thank you all who supported it and special thanks to all churches, organisers, Royal British Legion and the many young people, from Scouts and Brownies and other associations who braved the cold for a lovely ceremony. If I'm honest, the UKIP logo wreath placed on the memorial, I thought inappropriate. This was most certainly not a place or a time for political party promotion but perhaps I'm old-fashioned. A signed card, I thought would be more than sufficient. Staying with politics, I found myself in strange agreement with Labour's Harriet Harman this morning, when she announced that Labour would insist that any unemployed person over the age of 22 should be looking for work. This chimes in with a Twitter exchange I have been having with a local Labour activist, Malcolm Bailey, who is happy to justify Will Scobie's Parliamentary ambitions, supported indirectly at the local taxpayers expense. This through the income of two Councillor allowance, three if you add that of his partner, Westgate ward Cllr Jodie Hibbert, who did not join us again this morning. After all, one might validly argue that Will Scobie is unemployed as being a Councillor is not strictly employment with associated employment rights. It is really deemed a voluntary public service which pays an allowance; a generous one too, if you happen to be a Kent County Councillor. So by Harriet's definition, he neally needs to find his first real job as she is dead-set against "Unemployed young people living-off the taxpayer." Local Labour's bizarre excuse of comparing him with David Cameron at this stage of his political career, really doesn't wash. You may as well compare my own poor chess-playing ambitions with Gary Kasparov at the same age. In fact, I've a chess theme to pursue this week, as I morph-out of the summer job as a pilot and carry-on with the winter speaking circuit. This time I'm exploring the future implications of intelligent machines, like IBM's Watson computer and I'm using the analogy of two games of chess. The first happened in 1997, in which Garry Kasparov, the greatest player in the history of Chess, lost to Deep Blue, a $10 million specialized supercomputer programmed by a team from IBM and capable of evaluating 200 million positions each second. The second game was a freestyle chess tournament in 2005, in which man and machine could enter together as partners, rather than opponents. At first, the results were predictable. Even a supercomputer was beaten by a grandmaster with a relatively weak laptop. The surprise came at the end. Who won? Not a grandmaster helped by a supercomputer, but actually two amateur players using three relatively weak laptops. Sixteen years on, and the greatest change in how we relate to computers is the iPad, not HAL in the film 2001 and a Chess APP, such as Smallfish on you iPhone, teamed-up with even a a moderate Chess player, can give a grandmaster and a supercomputer a run for their money. I was lucky enough to meet Kasparov through a mutual friend and if anyone is interested in knowing the story of how he lost to IBM's Deep Blue computer, ask me and I'll tell you the story. Will is no sponger. Keep to the facts. Good. Then tell us how he supports himself his new family and his political campaign? A job we don't know about perhaps? His Councillor allowances? I am no Labour supporter, but I did not notice you were so vocal about how Mr Ezekiel supported himself. Define sponger? Well if Will is one, then so are all MPs without 2nd incomes... and the Royal family! Yes 3.09, let's stick to the facts. Everything Simon has said is true unless you know otherwise. The phrase 'put up' springs to mind! So let's have your facts if you've got the balls. I was not aware that Sandy Ezekiel was campaigning to become an MP at the public expense. If you have not yet noticed, everytime I ask this perfectly valid question, i.e should the Thanet taxpayer be supporting Will's parliamentary ambition, Labour supporters attempt to deflect the argument elsewhere. Comparing him with David Cameron is a favourite but then Cameron was capable of supporting himself and actually had a job which would be recognised by HMRC rather than voluntary work as a ward Councillor. So lets do away with the pretense shall we? Whether Will and Jodie make a lovely couple is irrelevant although being Mayor of Margate does come with another handsome allowance. Does Will have a job? Yes or No ? Prince Philip was at the Cenotaph He's 93. A Royal sponger 4.48? Please tell us the difference between a wage and an allowance Simon. Because both of them count as earnings as far as the taxman is concerned! Does he get paid the same pension as other 93 year olds 8:16? "Simples" I suspect is the answer.. Taxation is a red herring. A wage constitutes an employment contract subject to employment law. An allowance is paid in lieu of expenses and I would guess sits outside employment legislation. So if he has no employment and is as busy as he is campaigning, then if he has no other income outside his councillor allowances, which are paid to him in support of either ward or KCC work, that campaigning; travel, subsistence et al would appear to be subsidised by the local taxpayer for purposes for which it was not intended. The use of "brute force" chess computers like Deep Blue stopped after Hydra destroyed Michael Adams back in 2005. Modern computers have leapt ahead in their positional understanding rather than relying on pure materialism and don't require huge cabinets of equipment, instead being downloadable for the same cost as a typical console game. Such is their portability of course that we end up with cases such as Borislav Ivanov. 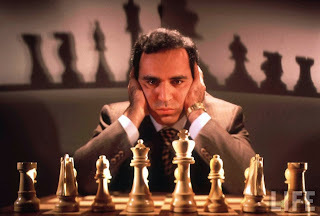 As for Kasparov being the greatest in history, Ive always been more of a Karpov fan. Whether living off councillors allowances, whilst campaigning for parliament, constitutes sponging is not really the question. Should we not be asking instead, do we want our MPs to have some experience of life, of how to live off your employed earnings and the day to day problems most of us face with work, family and keeping a home together. Bit like having marriage guidance councillors who have never been married otherwise. I understand from some older posts that Councillor Scobie is also a member of the Unite Trade union -does being a local Councillor qualify for membership? Following the Falkirk debacle in their efforts to select one of their own by dodgy applications how does he qualify. To make it as a Labour candidate you need the sponsorship of a Trades Union. Think Faustian bargain! Despite attempts to avoid the question, shift the argument or indeed explore the politics of the 19th century, Will Scobie is not David Cameron or indeed William Pitt or anyone else for that matter. He's certainly not recognised as being particularly gifted, academically or otherwise! Looking back through Thanet Life, every step on the ladder has been predicted and that path has not been earned, rather it has been the consequence of placing him in position through his father, the deputy chair of the Council and the local Labour party. If I or any Conservative had acted in this manner with a member of my own family, the howls of outrage would be deafening. But nobody answers or can answer, it appears, the direct question. Who is paying for his political campaign as he has no employment? His Cllr Allowance is for that only and certainly NOT for the purpose of providing him with the exclusive ways and means of supporting his personal political campaign. If he has a direct means of support then fine. Otherwise you must admit the allowance system is being abused and the local taxpayer his footing the bill. "Not been earned"? I thought that was up to the electorate to decide, but clearly they should've asked your opinion instead! Is Len McCluskey paying in a united effort to unseat Laura? Where and when were the electorate asked if it was acceptable for Scobie to use the allowance he is awarded exclusively in support of his Cllr duties to support a full-time Parliamentary political campaign? In much the same way that the generous Mayor or Margate allowance funded his full time KCC campaign. http://www.bbc.co.uk/news/uk-england-devon-24911880 seems UKIP are causing outrage everywhere in regard to laying of wreaths! Can someone ask a question about his expenses at the next council meeting, and if so how? I have played chess from a very early age and even represented my county at a junior level. 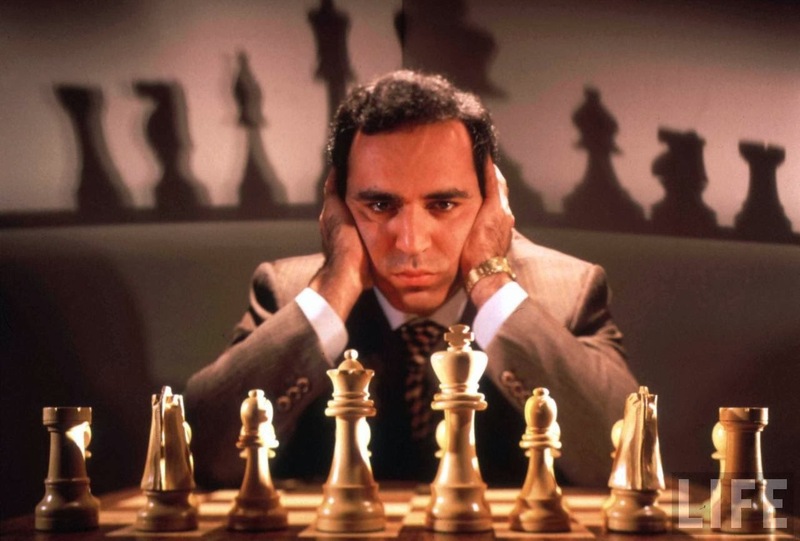 My early inspiration was Kasparov and acknowledge his dominance for so long. However, like yourself, I was transfixed by the Fischer vs Spassky contests. I do believe that Fischer would have gone on to dominate for a long time and possibly would have been the best player ever if he didn't suffer the mental problems he did. I do feel for him as at the time he was (excuse the pun) used a a pawn in the wider political scene at the time with the cold war in full swing. Yes.. Fischer vs Spassky got me going like millions of other youngsters. There's a good documentary on Fischer and his collapse into mental illness you can watch on YouTube. Kasparov is eccentric. That's the best way of describing him after an evening in his company. Overwhelmingly brilliant bet with some odd ideas that contradict the picture of the man you might expect from a coldly logical chess machine. Very human in an odd way. Would do well in Thanet! Of course he is, 2:26, until proven guilty. The photograph you show of the UKIP wreath is not unusual. ALL politicaL groups put their logo on the wreaths. If you go to facebook and look, you will see examples of Labour, Liberal and even the BNP. ALL parties pay their respects and to singhle out UKIP tells me that you, as a Tory, feel threatened, as well you should ! No. For ANY party to place its logo on a Remembrance wreath is both tasteless and inappropriate. I certainly would not permit this to take place in my ward if it were Conservative and I'm surprised that it may take place elsewhere. perhaps a response from the R B L rep in Westgate might be called for,how do they feel about political logos on wreaths? Well it does happen Simon. Whatever the motive, surely it is a good thing that the political parties support the event, it was, after all, the politicians that sent the men to war. Will you now please stop knocking UKIP, at least they were in attendance. UKIP leader Latchford says that the wreathes are supplied by the Royal British Legion. If they don't have a problem with it then why should anyone else. After all, wreathes are signed in one way or another and this is just a larger signature than usual. Just been down to Devon. Sunday in the town where I was staying the local Conservative Association branch laid a wreath with their logo in the centre, supplied by the RBL. No UKIP or any other party. People in glass houses. The RBL are raising money by selling wreaths and I am sure they would have Miss Piggy in the middle if she paid for one. As a personal view, I am not comfortable with political party slogans in the centre of wreaths, and a simple written card would seem more appropriate. Sadly, however, it seems some parties want the PR that goes with giving. What a shame all the press are talking about is UKIP and not how many people young and old were paying there respect on Rememberance Day. At lease the UKIP councilor was in attendance. One of Westgate's councilors has never atteneded a remeberance service in The Town that voted her in. Yes she may attend Margate but at the end of the day Westgate is the town she represents.